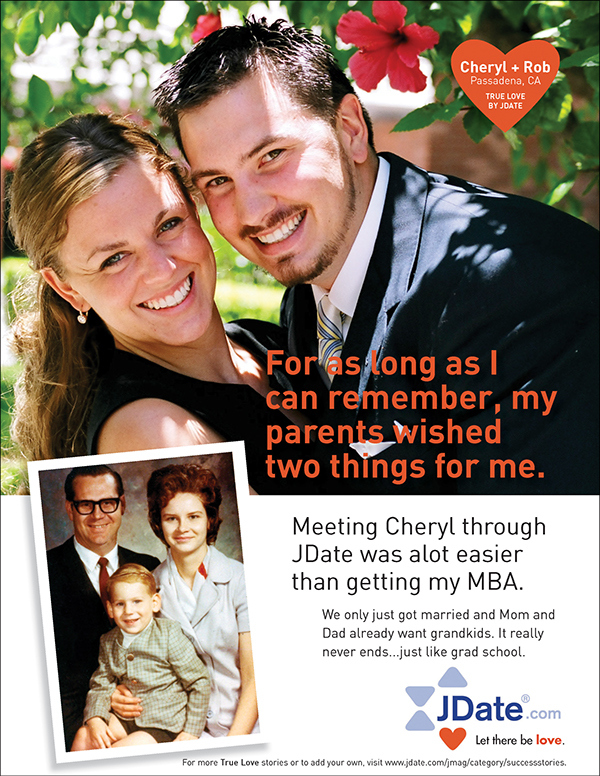 Print ad campaign for Jewish internet dating service, JDate, created for portfolio. 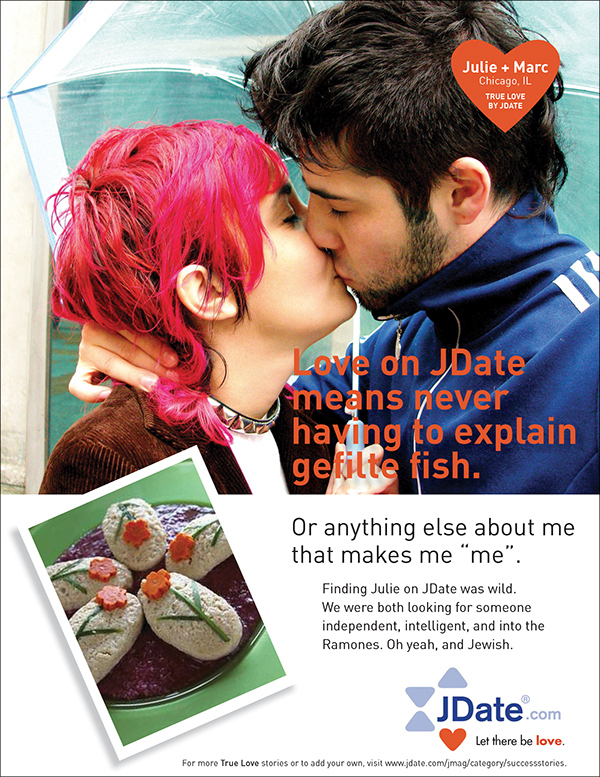 Target audience is young adults who may not be looking specifically for Jewish mates and may think JDate is "too Jewish". Ads show shared traditions, common memories, and similar values as opposed to religiousness. Print ad campaign created for portfolio.